NFU Scotland has told the newly-appointed farming minister Robert Goodwill that ongoing Brexit uncertainty has been 'hugely damaging' to farmer confidence. 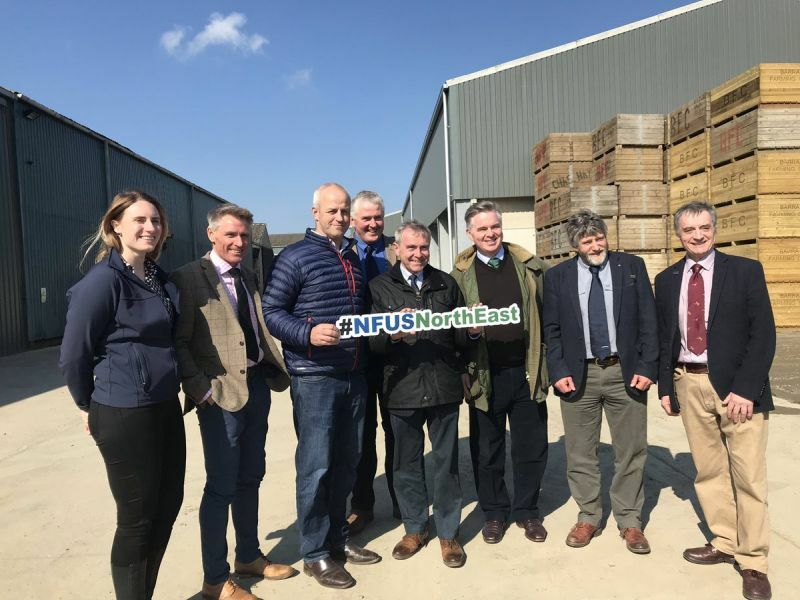 The union pressed the agricultural industry’s priorities for Brexit at a meeting on an Aberdeenshire farm with Defra's new farming minister, Robert Goodwill. Mr Goodwill, who took over the role recently following the resignation of George Eustice, toured two farms in Aberdeenshire with union officials and two Scottish MPs. Within his role at Defra, the Minister is taking on responsibility for a wide range of issues impacting farmers – notably the government’s Agriculture Bill, and scenario-planning for various possible Brexit outcomes. During the meeting, NFU Scotland reiterated the importance of the government finding a deal with the EU that ensures continued 'free and frictionless' trade with the EU. The union highlighted that the ongoing uncertainty of the Brexit process has been 'hugely damaging' to farmer confidence and that it is 'vital' the government and MPs consider the needs of business in getting a Withdrawal Agreement over the line. The Minister was also warned that the import tariff schedule the government has put on the table in the event of a no-deal does not provide 'fair protection' across the agricultural sectors from market failure – urging a rethink. Meanwhile, NFU Scotland pressed for 'urgent and accelerated engagement' from government on what it is the whole agricultural sector will require if there is to be a no-deal outcome in terms of preventing market failure and mitigating the impact for the different agricultural sectors in the event of market upheaval. Davie Winton, North East Regional Chairman of NFU Scotland, said: “Within weeks of Mr Goodwill coming into post, we have managed to get him onto farms in Scotland to discuss directly with us the key issues affecting farmers and crofters and the impact Brexit could have on them.